Light and Motion is a household name in the lighting business. The Marina, CA-based brand is known for bright, well-engineered and long-lasting lights. 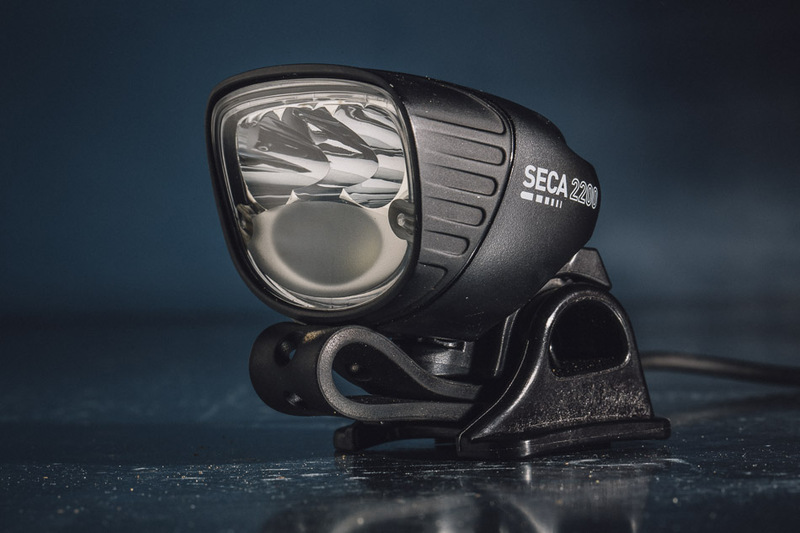 Seca is the work horse line of the Light and Motion family of products, coming in three versions: the 2200 Enduro ($470), the 2200 Race (tested here, $400) and the 1800 Race ($360). It’s worth noting here, that the only difference between the Race and Enduro is the battery the light head is shipped with–the Race comes with a three-cell battery, while the Enduro is equipped with Light and Motion’s six-cell battery. It’s also worth mentioning that Light and Motion has used the same connector for over a decade so you can still get new batteries for your old light, or if you’re flush with batteries, you can easily just update your light head–which, in the case of the Seca 2200, is available separately for $250. So, let’s talk about the Race version. First off, there’s the price tag. Though hefty, its price is pretty on point compared to other name-brand lights in the same luminosity range. The NiteRider Pro 1800 Race retails for $350, and the Pro 2800 Race comes in at $450. The Seca 2200 Race falls right in the middle at $400, and features a few functions not available from other brands. For one, it's waterproof up to one meter. This may sound unnecessary, but it's nice to know your light isn't going to tank when the skies decide to wreak havoc on your ride or you happen to take a dirt nap in a big fat puddle. These things happen. The Seca 2200 performed well on the bike. The four-LED design is set with three CREE bulbs in a row and one on the bottom providing a slightly wider beam than the typical spotlight. The Seca gives good ground coverage directly ahead of the front wheel. I ran the light in its low 550-lumen setting while climbing. I'm usually not winning the climbs so this was plenty for me to cruise around with. It did lack a bit of detail, but was sufficient for my needs. 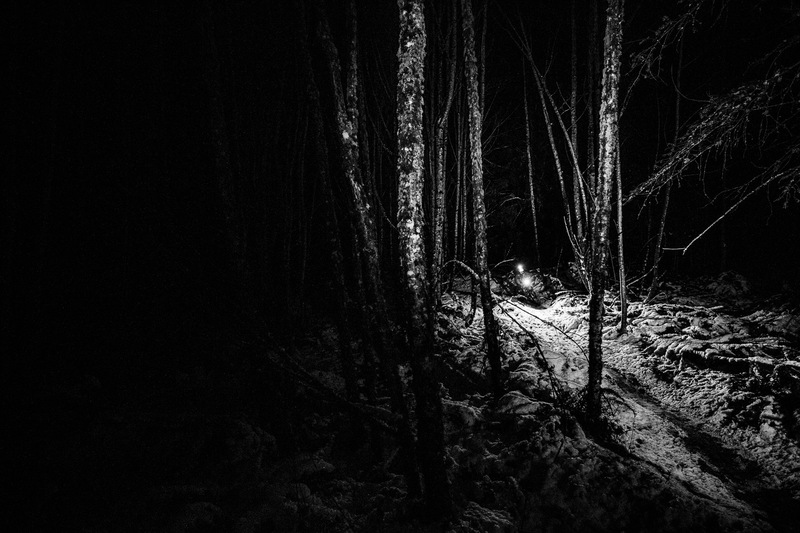 The full 2200 lumens were summoned once I aimed downhill. I never found myself wanting any more, or any less light, with the Seca casting a focused beam that never caught any hotspots or weird reflections. The Race also has some fancy firmware allowing the user to easily switch between the normal range of brightness settings (High, Medium (1100 lumens), Low, and Strobe), and Race mode, in which the toggle switches between only the High and Low settings. I found this handy since I’m not trying to throw a mid-ride techno party with the strobe, and the medium setting wasn't what I wanted for climbing or descending. The Seca 2200 Race advertises a 1.5-hour runtime on High, but I managed well over 2 hours on each ride, with the runtimes closer to 2.5 hours on full blast. The luminosity did appear to drop off after an hour or so, but not enough to hinder visibility. Mounting options are plentiful as this light is intended for both bar and helmet usage, but helmet mounting was surprisingly tricky. A rubber strap is wrapped around a round plastic cylinder that then attaches to the helmet via a Velcro strap, which was much too short for my helmet (Specialized Ambush). I asked multiple people to try to get the straps tight enough and we all struggled. In response to this issue, Light and Motion suggested using the included GoPro mount adaptor. If you choose to go that route, you'll have to purchase a separate GoPro adhesive mount, and then you're stuck with an extra hard plastic mount on the top of your helmet. Thankfully, bar mounting was much easier as the rubber strap easily wraps around the bar and holds the light in place without issue. The battery offered with the light is a three-cell lithium ion. It can either attach to the frame with an included Velcro strap or live in your pack. I opted to run mine in my pack to avoid the bulk of a battery on my frame. The frame mount option is necessary with the light mounted to the bars. Worn on a helmet, the weight of the light wasn't noticeable, but the cable from the light to the battery is a bit short and I could feel a constant tug on my helmet from the battery not hitting the floor of my pack. There is no extension cable sold, since using one would reduce output. Bonus points to Light and Motion for keeping the whole unit fairly lightweight at 355 grams, though. In spite of a few annoyances, this is one of the better lights I've tested over the last few years. It's very easy to use, has a fantastic beam with slight peripheral diffusion which helps bring quickly approaching foreground into focus in a way that is a bit less harsh than just a direct spot. I’d like to see better mounting options given the Seca’s $400 price tag, but the light unit weighs very little, and runtime is good given its output.